Located just 40 miles from Atlanta, Newnan, Georgia is a city that houses almost 40,000 residents. Visitors to Newnan enjoy the gorgeous historic homes including the McRitchie-Hollis Museum. Outdoor activities include Carl Miller Park with its walking trails and splash-pad for the children. When a dental emergency strikes, Newnan is a great place to find a new emergency dentist. This city has general dentists, dental surgeons, and periodontists who are standing by to treat your dental emergency now. 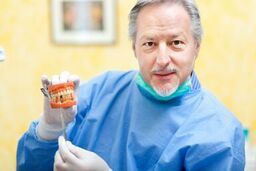 Use the Emergencydentistsusa.com website to find the right emergency dentist for your dental problem. Our convenient website offers you the information that you need to select the right dentist right now. From office hours to driving directions, the emergencydentistsusa.com website is a comprehensive listing of dental offices that provide emergency service. Just click on the dentist with services that suit your needs, and set up that first appointment. When you want to speak with a live person about choosing your emergency dentist in Newnan, just call our 24-hour dentist finder hotline. This free service connects you with a caring agent who can help you select a great new dentist. Your agent sets up your first appointment and offers driving directions if necessary. Remember to bring your photo ID and dental insurance card with you to visit your new dentist. Arrive 15 minutes early so that you can fill out the new patient paperwork. A visit to Newnan definitely includes a walk through the Greenville Street Park with its lovely colonnade. If you are seeking a new emergency dentist, this Georgia city is a great place to find one. Just scroll down to see our top three dental choices in Newnan. Description: Located in the heart of Newnan, Aspen Dental is a great choice for your dental emergency. Two caring dentists are on-staff to provide restorative and cosmetic dental care on your schedule. Convenient office hours make it simple to get an appointment today. Description: From preventative care to mouthguards for sports, Newnan Dentistry is a true full-service dental clinic. Providing restorative care, emergency services, and even cosmetic care, this dental clinic is located in the center of Newnan. Convenient office hours and a caring staff mean that you can call Newnan Dentistry your new family dental office. Description: From cold sore treatment to comprehensive examinations, Dr. Wheat provides all of the services that you require in a general dental clinic. This dental office uses state-of-the-art laser therapy along with digital x-rays to provide convenient and quick dental care for your emergency. Treatments even include sleep apnea and smoking cessation at Wheat Family Dental. A terrible toothache can ruin any adventure in the city of Newnan. Luckily there are plenty of great dental clinics available to provide you with dental care immediately. If your toothache pain lasts more than an hour or two, visit your Newnan emergency dentist as soon as possible. When a dental emergency begins with an accident or a sports injury, head to the nearest hospital emergency room or urgent care center for medical treatment. You can then visit your emergency dentist to handle that tooth problem. The Georgia Dental Association website provides you with current licensing and credentialing information regarding your new dentist in Newnan. Just log onto the website and enter your dentist’s name into the search box. View licensing information right on your computer. You can also find the licensing information on display at your dentist’s office. Most dental clinics have a current copy of the license available to patients when they enter the clinic.